We continue our Hawaii honeymoon and romance series with a visit to Hawaii, the Big Island. What’s unique or special about Hawaii for honeymoons? When I ask Hawaii residents what their favorite island is, they almost always reply with Hawaii, the Big Island. With the Big Island being bigger than all the other Hawaiian Islands put together, there’s lots of fascinating ground to cover. Though the plunging waterfalls and spectacular valley views will certainly capture your attention, the volcano activity at Kilauea will amaze you. When you have the opportunity to see lava flowing, it’s incredible, stunning, awesome and <insert your epic adjective here>. Of course you can chose to be as relaxed as you like, spending your days lounging under the swaying palms of a white sand beach, but if adventurous describes your romantic travel style, the Big Island offers much to discover. Hawaii Island is an island of contrasts — from verdant rain forests to fields of lava where plant life has barely been established. You can go from wearing a swim suit on the beach to needing a parka to gaze at a star-filled sky at the world-class astronomy center at Mauna Kea — all in the same day. Diving and snorkeling around Hawaii Island is superb. Take a guided tour to reefs along the Kohala Coast or to the historic Kealakekua Bay. If your honeymoon falls between January and March, you’ll have the added opportunity to observe the magnificent humpback whale migration. To help you plan your Big Island vacation, check out our Big Island of Hawaii vacation planner and itinerary. It provides more than enough activities to plan into a weeklong honeymoon. Take a romantic sunset sail or dinner cruise. Catch sunset from the top of Mauna Kea at nearly 14,000 feet above sea level, followed by stargazing. Go snorkeling side by side to explore the colorful world below the water’s surface. Enjoy a relaxing couples massage at one of the Big Island’s top spas. Wander through a romantic garden. 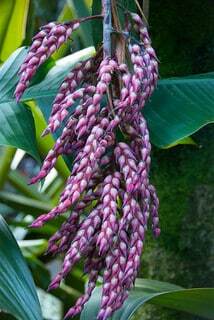 Hawaii Tropical Botanical Garden is exceptional and one of our favorite gardens in all of Hawaii. 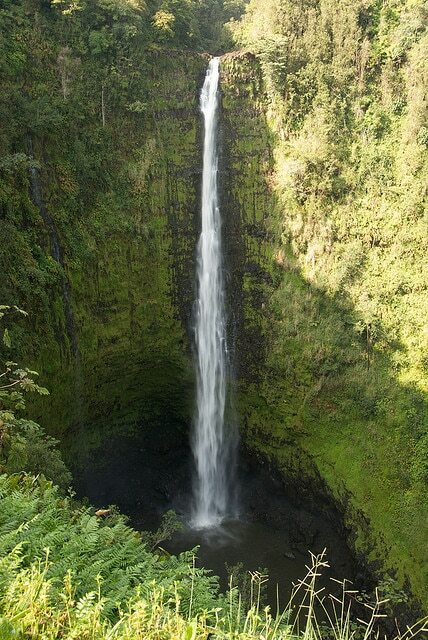 Hike around beautiful Waipio Valley then take a dip in a waterfall-fed pool. Spend at least a day exploring the amazing scenes from Hawaii Volcanoes National Park. Go horseback riding in Waipio Valley. Enjoy a romantic sunset picnic. Take a helicopter tour of the island. If possible, we advise splitting your stay on Hawaii Island between the east Hilo side and the west Kona side. We really like to start our Hawaii vacation staying in a B & B on the Hilo side. The village of Volcano offers many unique B & Bs with convenient access to Hawaii Volcanoes National Park. From the Hilo side, we recommend driving around the northern end of the island with scenic stops to begin a stay on the Kona side. 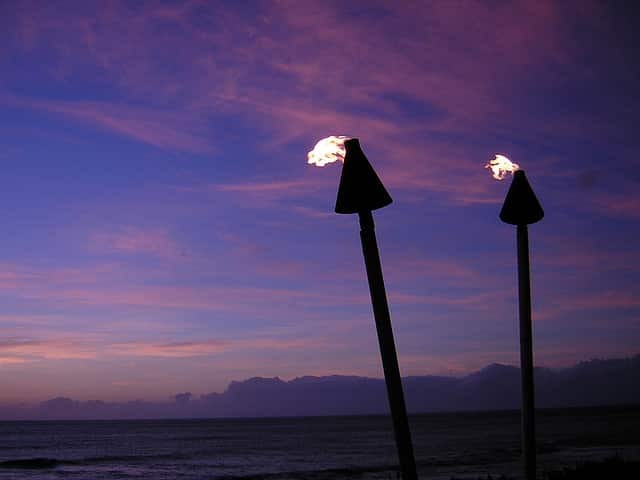 The Kohala Coast is know for relaxing luxury hotels with top-notch spas and golf courses. Kona hotels tend to be a bit more budget-friendly with a livelier atmosphere. The Keauhou area is south of Kona with one major resort plus vacation condos. See more advice for where to stay on the Big Island of Hawaii. In each of the major resort areas, you’ll find romantic oceanfront or oceanview restaurants — many with sunset views. We tend to focus on romantic dining when we visit Hawaii. Here’s our list of favorite Big Island restaurants. How much will a honeymoon to Hawaii, the Big Island cost? Are there any cautions for someone considering a Big Island of Hawaii honeymoon? We have heard from many readers who honeymooned on Hawaii that they loved it. So, we don’t hesitate to recommend it. The only caution we might add is that the volcano gases can be troublesome for people with respiratory conditions. 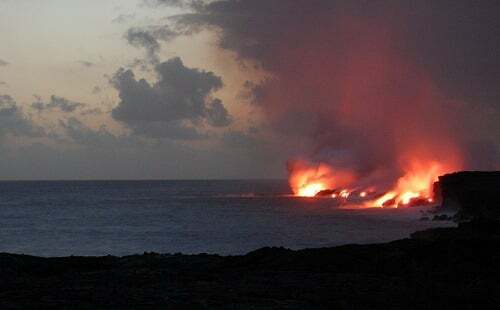 These gases tend to be concentrated solely around the active Kilauea volcano area. Check out our Hawaii vacation guide for more specific Big island trip planning details. Our one-week Big Island itinerary makes honeymoon planning easy. Also review our popular first-time guide to Hawaii vacation planning. I live in Florida and work for a popular Hialeah hotel and people think why would I want to vacation anywhere else. But I would love to spend our anniversary in Hawaii. I’m more motivated than ever after reading this so thanks! Guzman – there’s so much to see and do on each island that we recommend no less than 4 to 5 days on each island, but ideally long than that. If you want to have a little relaxation time on your honeymoon with 12 to 13 days, you may want to limit your visit to two islands.